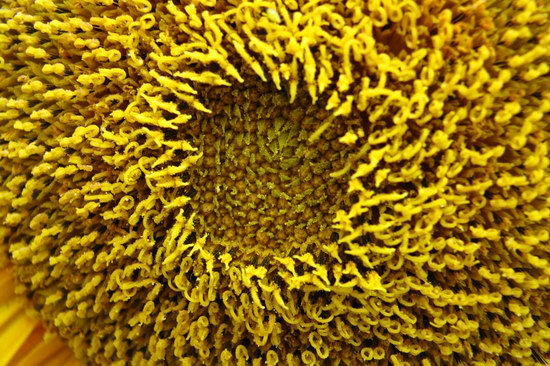 Sunflower center closeup – looks like a little field of wheat with a cropcircle! 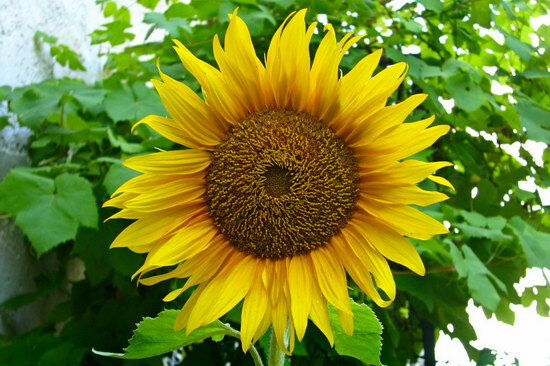 Yes, it’s another Sunflower shot – but a little different in the middle now. 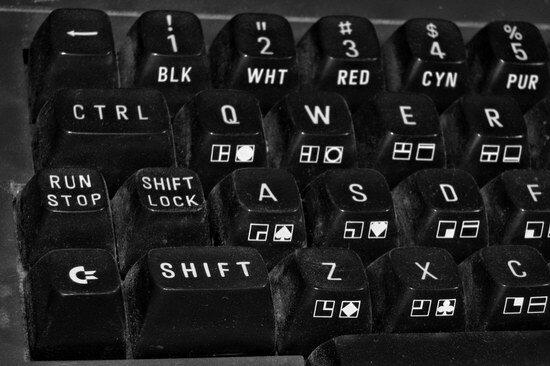 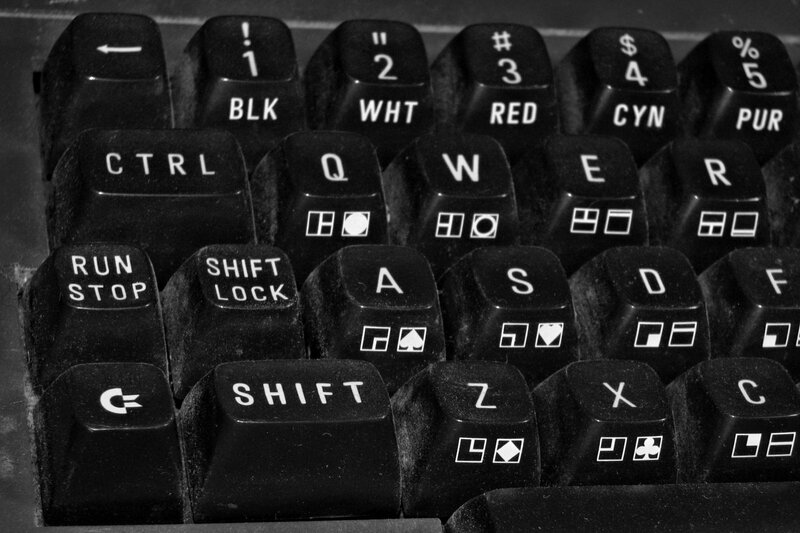 Once upon a time, keyboards used to look like this :-). 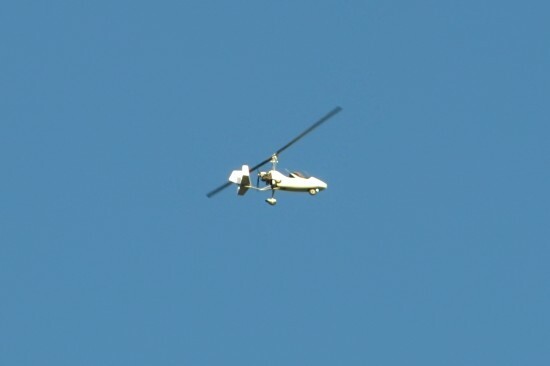 There was something< else in the air last Saturday - this tiny helicopter, or maybe it was even a gyrocopter? Either way, it looked like a little one-seater that made an appropriate bee-like noise :-). 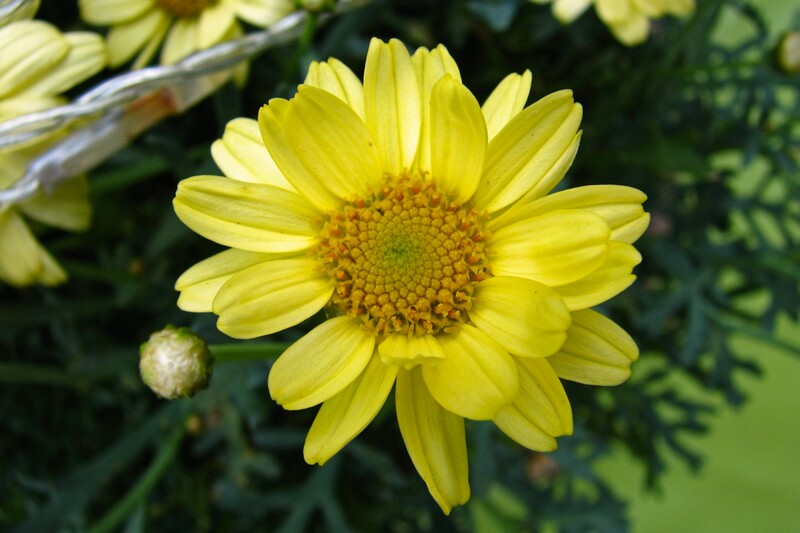 We’ve had this before, but the yellow Oxeye Daisies are just too nice not to post :-). 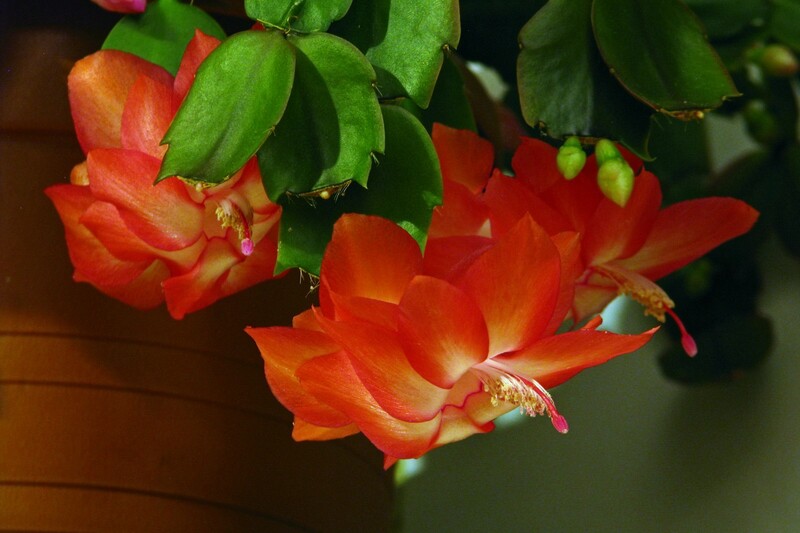 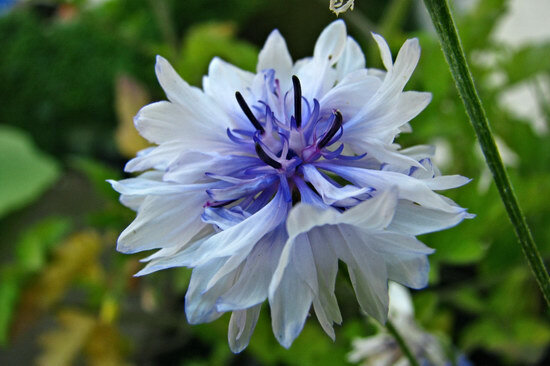 Finally some semi-new cactus flower photos! This is three days old, but it’s a good photo of the trio on the big plant. It’s a long exposure of several seconds with some minor colour correction. 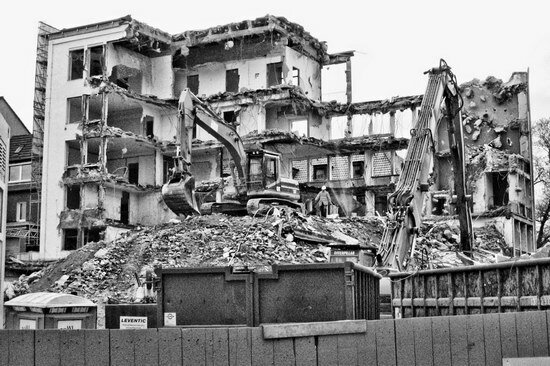 Forward to January 4th, 2008 – less building and more rubble heap on Mülheim’s Viktoriaplatz during the demolition of the old bank building. 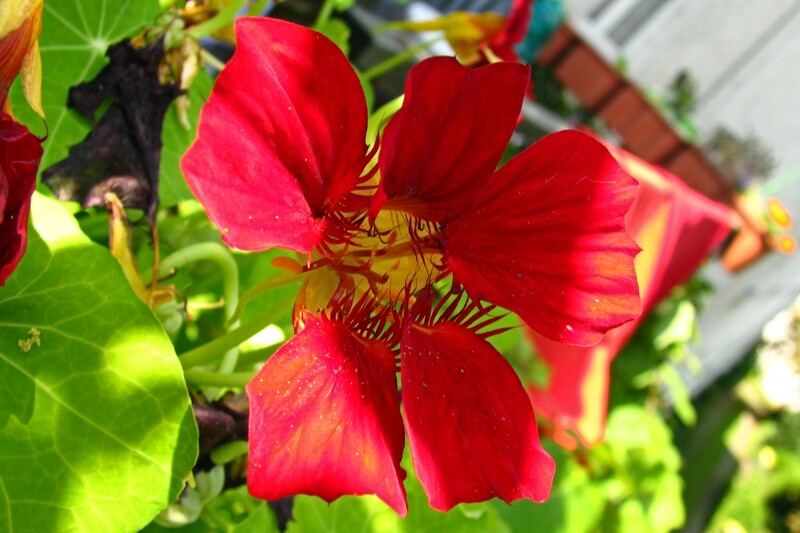 A bit of Tropaeolum alias Kapuzinerkresse in the half-shade.